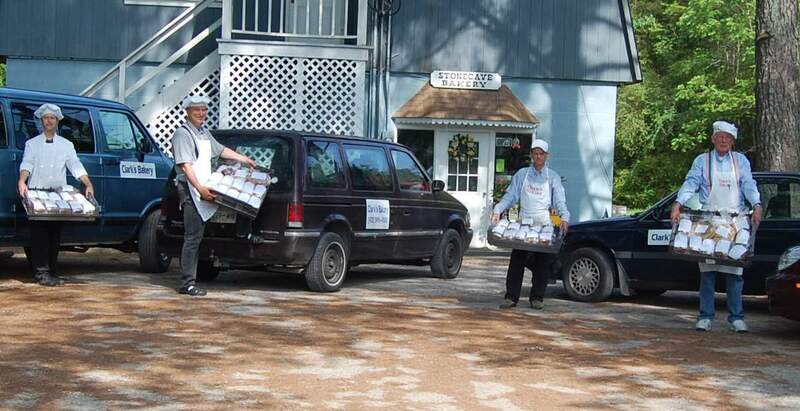 Some of our workers, bakers Bob Blaser and James Clark Jr, and salesmen LeRoy Duman and Dan Miller, holding trays of fresh bread. All our products are made from whole grains. Wheat is fresh ground on the premises with a stone mill, to bring you the freshest flour possible. Our products are currently offered at the following locations: Village Market in Collegedale, TN, Greenlife Grocery in Chattanooga, TN, Pruett’s Market in Signal Mountain, TN, Wildwood Country Store in Wildwood, GA, Ward’s Supermarket in Gainesville, FL, Orlando Adventist Book Center in Orlando, FL, and at our small store in Dunlap, TN. If you are not able to get to any of these locations, we ship our products by UPS. To order the first time for UPS delivery, you would call us and get an estimate for your order and then mail a check or money order for the estimate. After your first order is processed, you may order additional items and we will invoice you with your shipment.